I recently received this question from a new customer and thought that the answer would be helpful to all who wish a better understanding of what a Monatomic Andara crystal is. Please tell me are these crystals or glass? Do these exist as they are or are they impregnated with monatomic particles? I haven't been able to discover these answers from your website info. Please help me to understand. So, what are they . . . ? Monatomic Andara crystals are like an obsidian glass material made up of monatomic metallic elements that were heated to high temperatures either by volcanism, meteor strike or other heat producing phenomena. 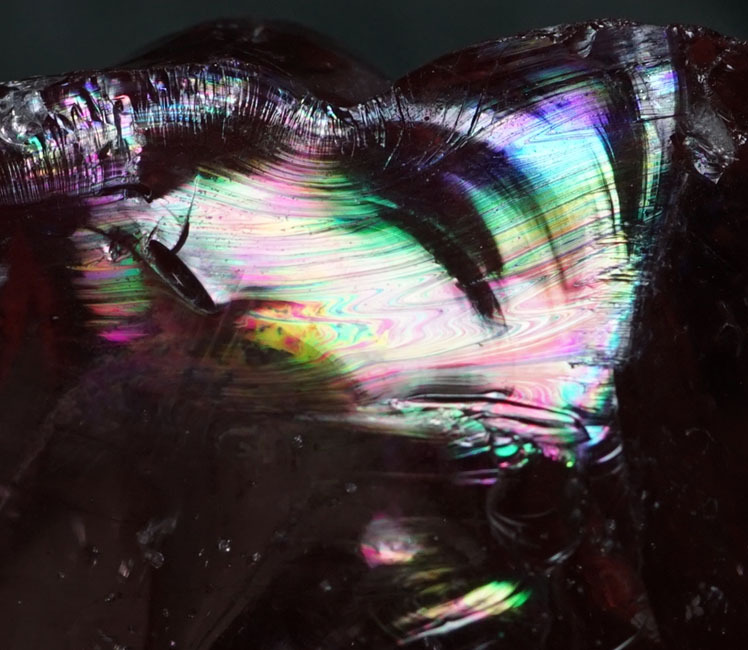 Monatomic metallic elements are powder-like in form and transmute to glass under high heat, similar to obsidian. 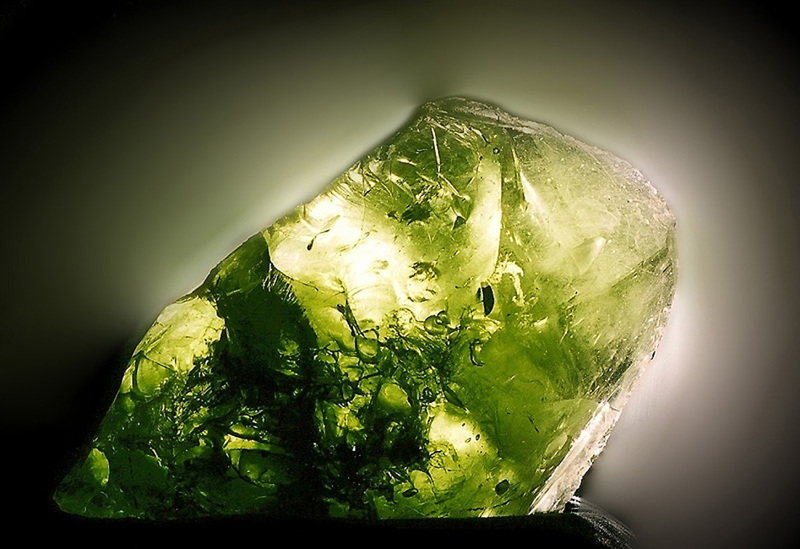 It is their foundation of monatomic metallic elements that differentiate them from all other types of crystals, volcanic/natural glass, as well as man-made glass. Monatomic metallic elements are the esoteric first matter elemental structure of metal of the highest form. As an inert and powder-like material, they are single atom structures that do not exhibit any metallic matrix, making them very hard to test for. Standard testing methods fail to register such esoteric matter, which is misunderstood by many. In soil samples taken from the location where the Andara crystals originated, more than 70 monatomic metallic elements were identified. Andara crystals are esoteric matter in the form of monatomic materials exhibiting quantum properties at a non-quantum level. As an esoteric matter, they are considered energy/light as manifest matter of the first order in a quantum state of resonance, that being in this dimension as well as other dimensions at the same time. 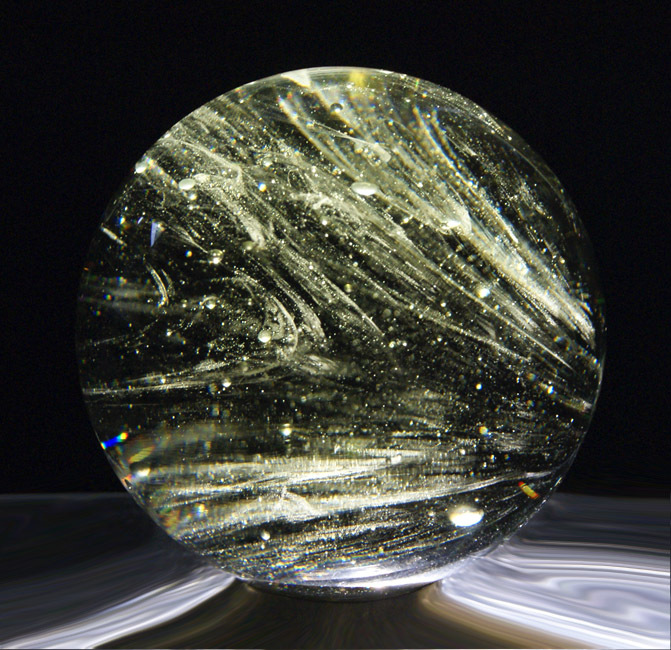 Monatomic Andara crystals are heliocentric, unlike glass which is not. They also exhibit color shifts, translocation, transmission of information, time dilation and other esoteric properties. What about all those colors . . . ? 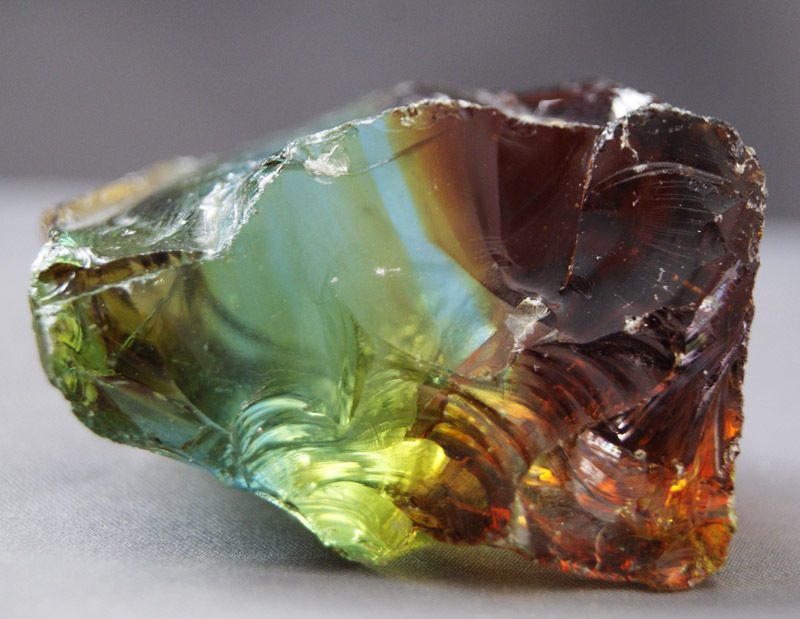 Monatomic Andara crystals are Allochromatic in the way that color is presented as viewed in light. 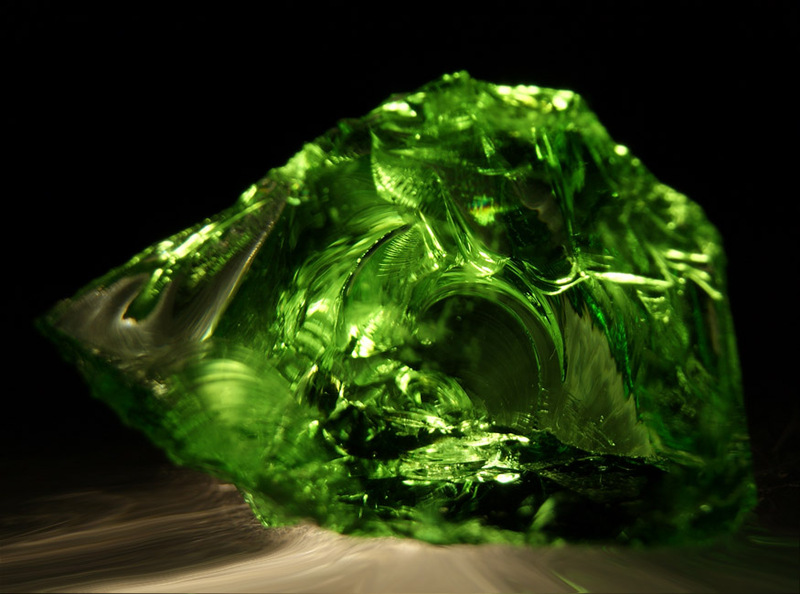 Allochromatic refers to the impurities and trace elements that color gemstones by their presence. When traces of chromium are present in corundum, you have a red Ruby. If there is titanium present in corundum, you have a blue Sapphire. 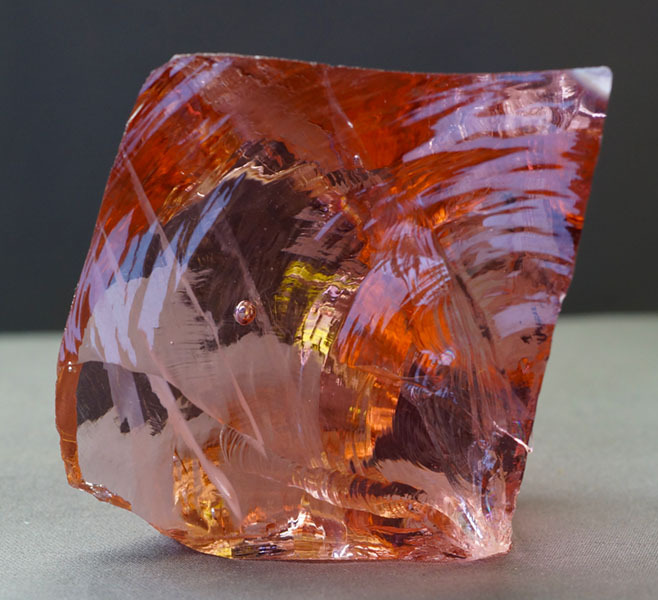 When the corundum is pure, it is colorless. Sapphires come in all the colors of the rainbow due to the trace elements that produce each color, all in the same family of corundum. As mentioned above, more than 70 monatomic metallic elements are present to work from. With such a palette we have the possibility of any color in the rainbow appearing. Just a One more question . . . I was then asked by A.G. . . . Thank you for a very clear and understandable answer. Do the Andara crystal react with or compliment other natural crystals? Andara crystals can be used to enhance, compliment, and cleanse all other crystals. It also cleanses the environment it is in as a source of pure white light. The only restriction Andara crystals have is the limits to your imagination on it's uses. To which I received from A.G. . . . Thank you so much. I will fill that space with the imaginings of beautiful dreams ones worth recounting and resounding with magnificent love and light. It only took me 2 years to update our About Us page, but boy did it come out looking good. With that said, here it is . . .
On Oct 1, 2001, Linda and I opened the doors to Life’s Treasures Kauai. Our mission was to provide a unique metaphysical healing environment of hard to find, one of a kind items from around the world. Life’s Treasures Kauai was presented as a gift store so that people of all walks of life could experience its healing energy, explore new worlds of information and opportunities, exchange ideas, and discover the possibilities of Meta-Science and consciousness evolution. Through the years, we have touched the lives of many people from around the world. That was more than a decade ago. Though our brick and mortar store is now a memory, the essence of our service continues. Read about our early years here: "Andara Crystals First Magical Years 2002 – 2005"
Today we can make a difference in the lives of a much wider audience. Through our website, LifesTreasuresKauai.com, our services are now worldwide. We are now able to connect with our ohana of friends and customers anywhere the Internet reaches. Our mission has evolved and crystallized in the expertise, knowledge and spiritually guided convergence of Quantum Metaphysics, Divine Science, and Monatomic Andara crystals. At LifesTreasuresKauai.com, we specialize in Monatomic Andara crystals exclusively. Since 2003, Linda and I have been the recognized experts on Monatomic Andara crystals. The fact is, I wrote the book on them so to speak. It was my research and the publication in 2003 of "Monatomic Andara Crystals – Bridging Science, Metaphysics, and Healing" that put Andara crystals squarely on the metaphysical and spiritual map. Linda and I have been blessed to continually work with them since the summer of 2002 when they magically walked into our store and changed not only our lives but the lives of countless others. "Monatomic Andara Crystals – Bridging Science, Metaphysics, and Healing"
Since the opening of that small store in the middle of the Pacific ocean, some 17 years later, Linda and I are still privileged to be of service to all who seek to expand and discover the possibilities available to us all. Linda and I are proud to announce the grand re-opening of our website and online store LifesTreasuresKauai.com. After a two year hiatus, several moves and life-changing events, we are now settled in our new home. LifesTreasuresKauai.com is once again open for business and stocked with our stunning collection of Monatomic Andara crystals. Many of the rare and unique specimens come from Mark’s private collection found nowhere else. We have also redesigned Lifes Treasure Kauai to reflect our Aloha spirit and island roots of family and spirituality. Just like the original store we opened on Kauai in 2002, we are committed to service that goes beyond the ordinary. For those who don’t know, Linda is my wife and partner of more than 35 years. 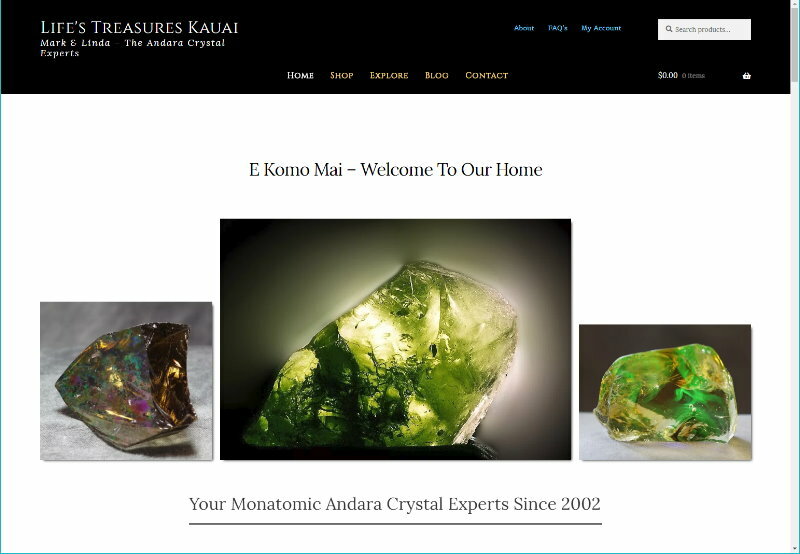 Linda has been running our eBay store, Kauai Andara Crystals, for more than six years now. With the re-opening of our Life’s Treasures Kauai website, Linda will be spending more of her time here. Of all the updates made, the most exciting is that Linda will now be writing for the Life’s Treasures Kauai website. With years of stories and events that friends and customers have shared with her, Linda will be bringing her unique view and personality to our website and online store. I will also be busy updating the Andara crystal codex with the latest science and metaphysical discoveries. 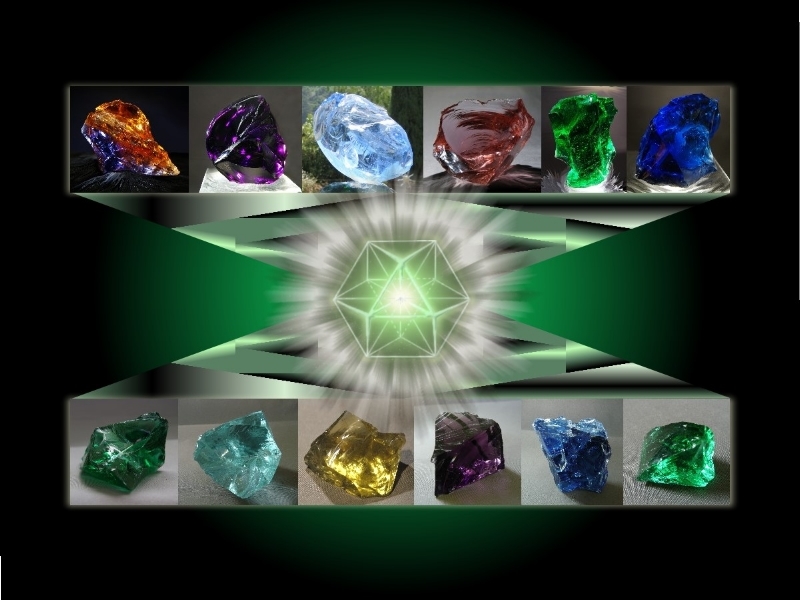 Coming soon will be an updated Andara Crystal guide featuring the rare, gem grade and newest colors now available. With that said, we invite all of you to join us in this Grand Re-opening. Linda and I have a lot of great ideas in the works, bringing over 16 years of personal experience working with our Andara crystals and an ever-expanding network of friends and customers. In Hawaiian, we say “e’ Komo Mai,” which is the traditional invitation to come inside and enjoy our hospitality. It also means that you are considered family and our doors are always open to you. Here at LifesTreasuresKauai.com, we are always open for one and all to join our family, our “ohana” and share in the spiritual bounty that is the essence of our store and the Andara crystals we carry. 1. Nellie Thompson known as “Lady Nellie”, a Choctaw Indian medicine woman, found the first monatomic crystal gemstone in 1969. It would be more than a decade before Nellie returned to harvest more. 2. 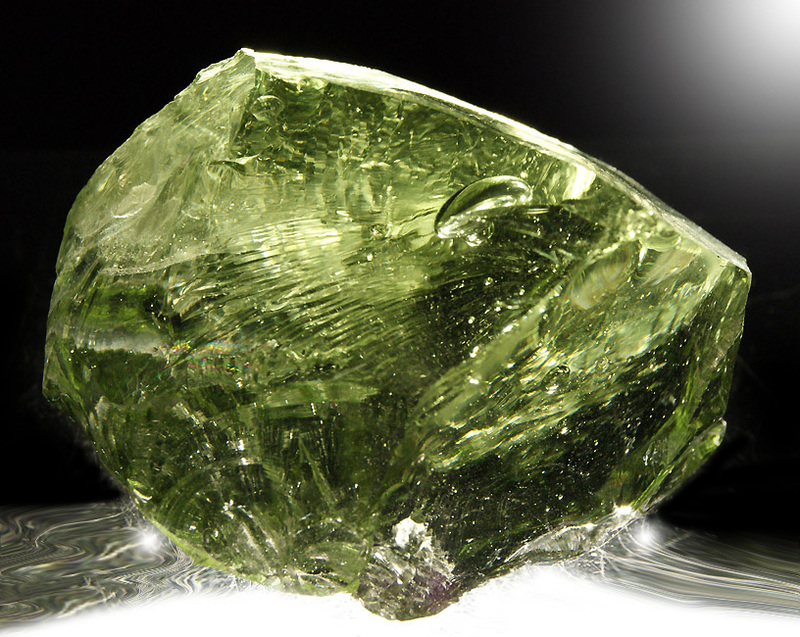 Allie Keith, a psychic healer who had dreams of a unknown but powerful green gemstone, visited Lady Nellie in the early 1980s and saw her vison confirmed by the monatomic crystal that Nellie had found. Allie convinced Lady Nellie of the importance of her find and to return to the mountain to get more. 3. Simeon and Maia Nartoomid, akashic readers and channel, gave a reading on the monatomic crystals for Lady Nellie and a small circle of her closest supporters in the mid-1990s. The name “Andara” for these crystals was channeled by them. 4. Randy Masters, a master teacher of many disciplines both scientific and metaphysical, recorded and had transcribed the channeled information. Randy made printed copies for the circle of healers and light workers to distribute with the Andara crystals. As a vibrational sound master and scientist, Randy ran his own tests and found these new crystals to be completely new and unique in every way. 5. David Hudson is credited by most people in the field as being the originator of the term “Orbitally Rearranged Monoatomic Elements”, or by its acronym, ORME. After a decade of research David gave lectures in the mid-1990s on the results of his findings on monatomic elements in the mysterious white powder found on his Arizona ranch. 6. Patrick Bailey, a well-known nutritional research specialist, pioneered the revolutionary idea of superfoods that are combined with USP nutrients and herbs. Patrick attended one of David Hudson’s lectures on his discoveries and the mysterious white powder. While researching the healing results reported to him by Lady Nellie in 1997, he obtained samples of both the herb and a white mineral deposit around which the herb grew. Samples were sent to Dr. Tainio for electromagnetic analysis. Additionally, the powder tested positive for the presence of monatomic elements. 7. Dr. Bruce Tainio, a soil expert known worldwide as well as an inventor and research scientist, tested a soil sample in 1997 sent to him by Patrick Bailey. His lab specialized in electromagnetic analysis of organic compounds, equipment invented by Dr. Tainio. The lab reported that they had never encountered such an extraordinary substance with the presence of esoteric / first matter electromagnetic properties. 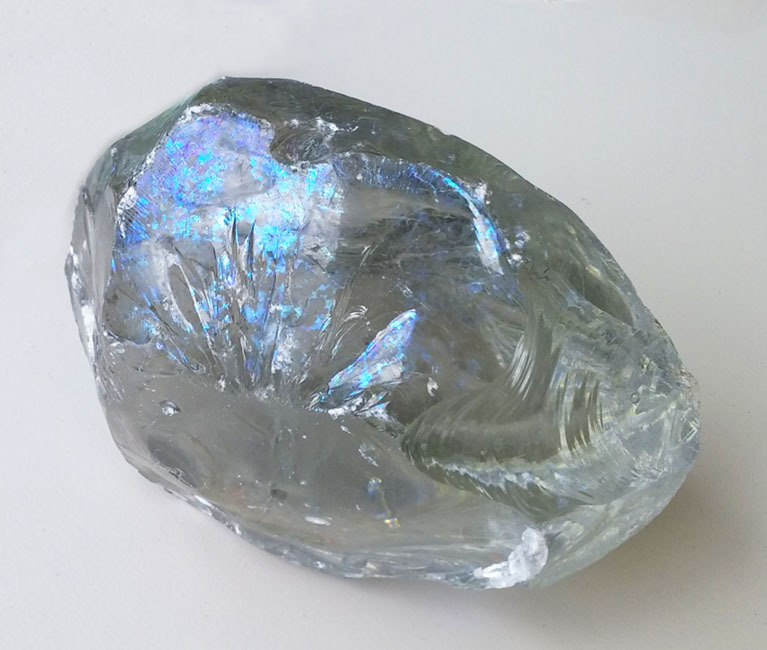 An Andara crystal was also tested with similar results. 8. 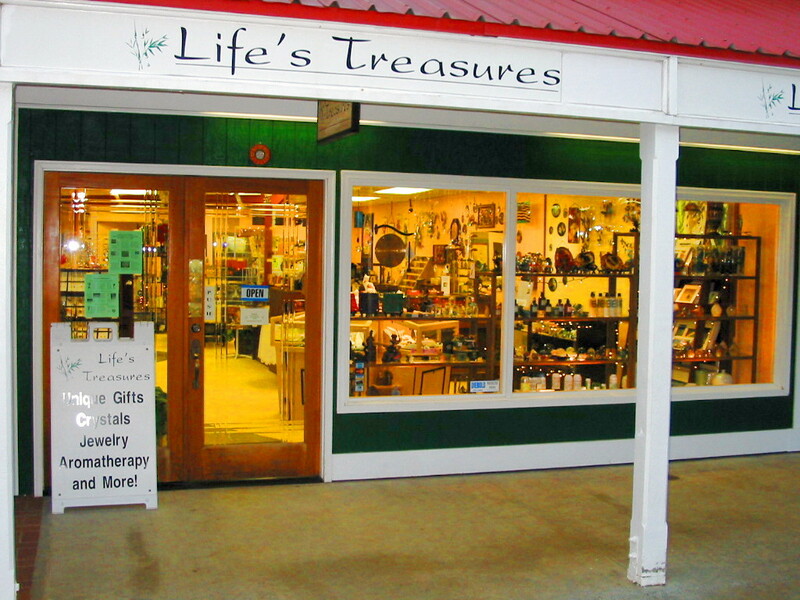 Life’s Treasures opened its doors to the public on Oct. 1 2001 by the husband and wife team of Mark and Linda Naea. Its mission was to create an oasis of both spiritual healing and the opportunity for metaphysical exploration while expanding ones horizons. In that respect, Life’s Treasures Kauai was a success beyond all expectations. It was from this tiny store in the middle of the Pacific Ocean that Nellie’s Andara crystals would explode onto the metaphysical scene and the world stage in less than a year. 9. Peggy Black, a Sacred Sound Salutarist, Spiritual Synergist, Multidimensional Channel, recording artist, world traveler and lecturer, walked into Life’s Treasurers in the summer of 2002. She was on Kauai to do a healing conference, and just happened across Life’s Treasures. Peggy was one of the light workers who supported Lady Nellie by introducing people to Andara crystals. That day Peggy was wearing an Andara pendant glowing with energy. Mark Naea upon seeing her enter the store immediately asked her “what is that stone you are wearing?” Peggy replied “This is an Andara crystal.” And just like that, a new bridge was formed for the still little known mystery crystal. 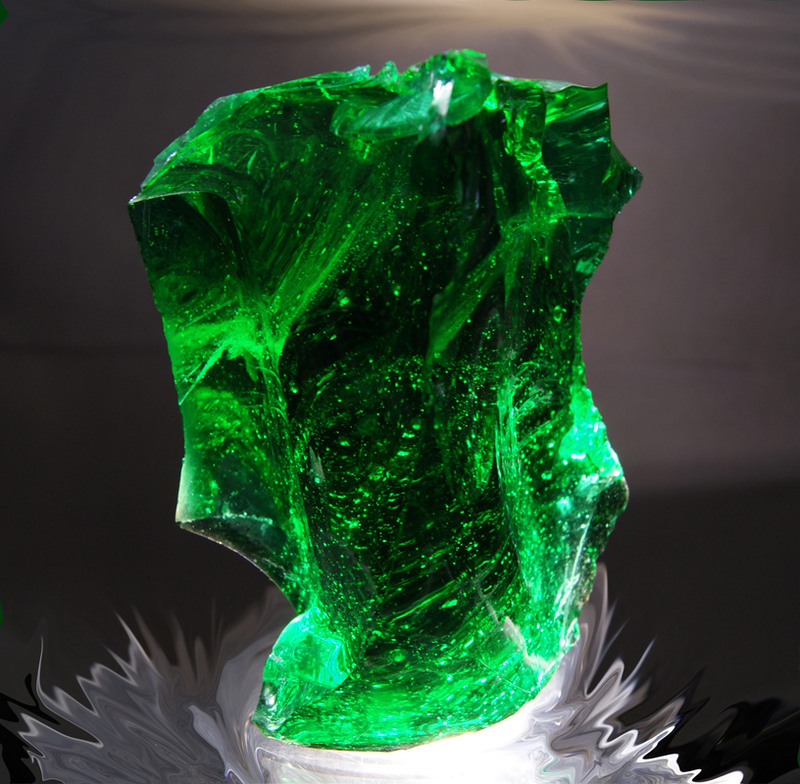 Within two weeks of that event, Life’s Treasures was in touch with Lady Nellie and began its relationship with her and these special crystals. 10. 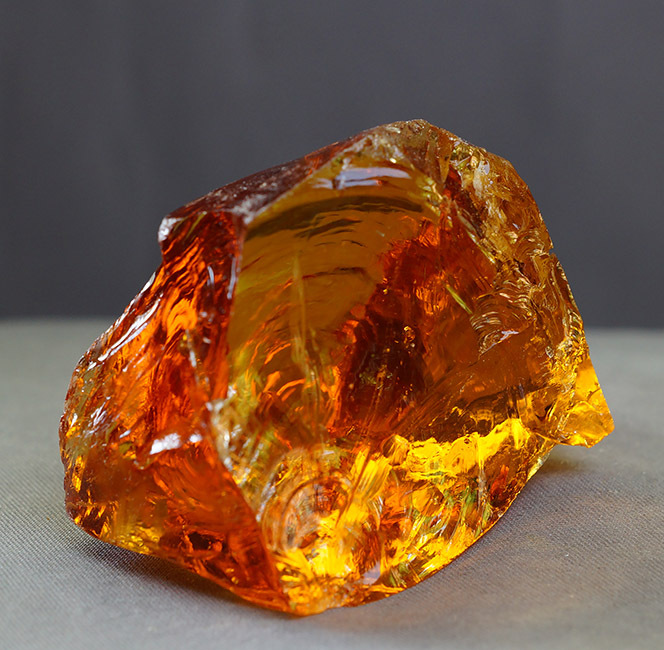 Mark Naea, Network Engineer, IT Analyst and Research Specialist, Intuitive Spiritual Guide, Crystal expert and now store owner, began his quest for answers on what made an Andara crystal so special. From the summer of 2002 to the fall of 2003, he applied his unique specialty of intuitive and source guided research. Mark was introduced to many of the first circle of Lady Nellie’s friends and supporters and had the privilege to interview many of them by phone. Person by person, he collected all of the disparate information and built a picture of the true uniqueness and underlying foundation that made Andara crystals what they are. From Lady Nellie to Randy Masters, Patrick Bailey to Bruce Tainio, David Hudson to quantum theories of monatomic elements, Lawrence Gardner’s research, books and countless webpages of related scientific and metaphysical materials, no stone was left unturned. Mark’s two most special abilities are seeing how all of it was interconnected with the least bit of information and where to look next, along with the ability to recall any or all of it from memory. Mark had collected and connected all the links, and based on this mountain of evidence, concluded that Andara crystals were monatomic, that monatomics is as old as humanity and that this secret was hidden in plain sight. By this discovery, the floodgates of the ages was opened, as a tapestry of interwoven history and myth came together in a holographic ingram of 6th dimensional origami. This was the secret of the Andara crystals that no one knew in 2003, the monatomic origins of Andara crystals. There were bridges of perception, experience, time, spirituality, intuition, myth, and divine inspiration. The circle of people, places and timeframes stretched back to the furthest reaches of time, and into the limitless future. All of the seemingly unrelated information and people came together as each took their place in the diorama, building itself before his eyes. Tests based on the elemental metallic structure and conductivity. The fact is, all of the above tests check for the presence of metallic structures, which are not present in monatomic elements. This information has been common knowledge to those who work with monatomic elements for more than 20 years. Our first touchstone is the 300 second Spectroscopic analysis or Emission Spectroscopy test as recommended by the Soviet Academy of Sciences. The trouble is, it’s not offered in the US economically, so for our purposes we will have to continue our search. David Hudson made another discovery, which changes our very understanding of matter / mass physics at the quantum level. During the years of testing that David did in his search to uncover what that white powder was, there were many unexplained phenomena recorded. There were magnetic anomalies with the testing equipment; the powder would lose 4/9ths of its weight; it even became weightless, including the pan it was in. It would also gain weight. During one test, the powder disappeared and re-appeared when the test was reversed. All of these anomalies, and more, left David and the scientists scratching their heads. In synchronicity with the tests David was doing, scientists from several different fields were remarkably discovering parallel results on the esoteric matter of monatomic metals. Both David and the scientists discovered the strange orbits of electrons, which gave rise to the new discovery of their super-conducting natures. These same monatomic metals were also found in the biological nerve and brain tissue of humans and other species. This discovery opened a new door into the way our senses worked as super-conductors of information. It was originally thought that our sensory organs worked through electrical impulses. The problem with that theory was electrical impulses moved much too slow as compared to the speed that sense information was traveling through our bodies. With the advent of the monatomic discovery, a new theory was born. The almost instantaneous transfer of sense information in a super-conductive medium of monatomic enhanced nerve pathways, which defied modern scientific principals previously held to be inviolate. Because these monatomic elements were not visible to normal testing, they were known as stealth elements. Test after test confirmed their presence, but being super-conductive, their true nature remained hidden. One test involved a strand of DNA, which had a monatomic element attached to each end. The results were astounding, as the strand accelerated to a vibrational level of radiance and emitting light. All of these discoveries were happening in-parallel to each other. Simultaneous discovery is a documented fact and is the norm in both technological and scientific circles. Newton and Leibniz independently invented calculus, Alexander Graham Bell and Elisha Gray both filed a patent for the telephone on the same day — within three hours of each other — and sunspots were simultaneously discovered by four scientists living in four different countries. When we view this from the aspect of super-conductive medium of sense data: that this data is transferred via light pathways, and that light is both timeless and without restriction, it is no surprise that multiple discovery events coincide. Given all of the above as food for thought in the process to test for monatomic metals, there are at least four different methods to use in our search for these stealth elements. We know that x-rays will not work, or magnetic resonance, CT scans, or other mainstream technologies that involve excitation or elemental electro-excitation via internal metallic atomic structures. Super-conductive materials are invisible to such tests. If you haven’t figured it out yet, you are in good company, for the tests I use came from the reading of tens of thousands of related articles and books and working with Monatomic Andara crystals for more than a decade. Though that reading figure looks almost impossible, for an autistic person like myself, it’s a drop in the bucket of all the material I have consumed. I currently read a dozen books a month, countless articles on a wide variety of subjects, and even more that are sent my way via email. When in research mode, I will read through hundreds of webpages, thousands of articles, posts and published research papers. This is normal for me, and not considered work at all. Linda, my wife of more than 30 years, often times has to tell me to stop as I provide too much information on a subject. When we look at all of the information above, the fact that monatomic elements are super-conductive, and the informative results I have highlighted, we arrive at the following touchstone tests. The super-conductive materials of monatomic elements are highly sensitive to electromagnetic fields. David Hudson discovered this in the anomalies with regards to the changes observed in the weight of the white powder tested. From gaining weight to weightlessness, this sensitivity is a hallmark of superconductive material. Most everyone has seen the test where a super-conductive material floats weightless in the air when an electromagnetic field is present. A similar test can be done with Monatomic Andara crystals. Our bodies emit a bio-electromagnetic field that interacts with Andara crystals that can be felt while holding them. I have blind tested this response for more than a decade, the results of which have proven to be quite accurate. It basically involves two Andara crystals with regards to which is heavier. Each person has a different field strength and resonance which gives a different weight to the two stones from others who hold them. Sometimes subtle and other times dramatic, this shift is felt by most. Even testing the same Monatomic Andara crystal from day to day will give you an idea of the natural shifts occurring with your field. Though subjective in nature, this test is based on scientific principles and the esoteric nature of monatomic elements. With time and practice, this touchstone is as accurate as any other test. The fact is you can design any number of tests based in superconductive analysis via electromagnetic field research. It is the opening of one’s mind to new perspectives that monatomic elements and Andara crystals engender. It has been documented by scientists that monatomic elements can cause one’s DNA to accelerate to a vibrational level of radiance and light emission. With that said, is there a similar effect when one’s DNA comes into contact with a Monatomic Andara crystal? Is there scientific precedent for such an effect? From trivia comes a scientific discovery. A research scientist once read that metal pipes that were left in freezing temperatures in Alaska would sing, so to speak, without wind or any other reason to. He reproduced the phenomena in his laboratory. He then applied the theory of reciprocal engineering thereby having a vibrating pipe produce freezing temperatures, discovering a new field of study in vibratory refrigeration. Effects are a two way street and reciprocal engineering is an ancient technique passed down through the ages. Through the use of this technique, we can effectively predict what effects may happen. In this case, what effects may happen when a Monatomic Andara crystal comes in contact with a person? Since contact results in accelerated vibrational rates between each, we can predict the following for the Andara crystal: color changes or enhanced radiance of light refraction and reflections, temperature changes, the appearance of internal features or rainbows, the appearance of an iridescent coating of rainbow colors, the appearance of internal or external lines, visions of beings and other places within the interior, even extra-sensory experiences or contact, the Andara may even jump out of one’s hand. For more than a decade, I have witnessed all of the above take place. I have seen this happen with customers, with friends, even with people over the phone when they had questions about their Andara. From color changes, rainbows, heliocentric radiance, internal imagery, generating heat, feelings of weightlessness to visions and visitations, I have personally experienced each and every one of them and had them shared with me from people all around the world. I have observed the appearance of what one customer called spirit lines. They look like fine, tiny circular marks, like a slinky that has been stretched out. They appear out of thin air, on the surface, even in the interior. I have several friends that spot them all the time in my photos. A simple test that anyone can do is to hold an Andara and slowly rotate it. Observe the light reflections and refractions taking place, all the while being aware of any color shifts or internal color changes or shifts in one’s vision. I have done this with customers for many years, and have even been asked when the color changed if it was some kind of magician’s trick. That’s just one of the tests from the multiple documented effects I have mentioned above. I leave it to you to perform your own tests with the information I have provided. These are but two of the four remarkable features of Monatomic Andara crystals that anyone can begin with. Though the tests are individually subjective to each person’s perspective, it is part of what makes monatomic Andara crystals what they are. As stealth materials of esoteric nature, results are subjective to each person. What works for one person may not, or could have an opposite result for another. It is up to each of you to find your own touchstone, one that resonates to your unique framework of potentials. It is in the spirit of exploration that I share this information with all who have asked for this over the years. Your journey has just begun on a mind and spiritually expanding path to unrestrictive views of the possibilities available to all. When the time is right and with the blessings of the Andara crystals, the other two remarkable features will be written about. I have mentioned these to a select few, but for now, they will remain a mystery hidden in plain sight. 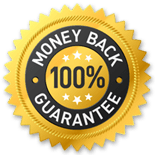 I have been asked countless times on how to authenticate Monatomic Andara crystals, which methods or tests are accurate, and which are just plain false advertising. The fact is, all of the above tests check for the presence of metallic structures, which are not present in monatomic elements. This information was first published by David Hudson more than 25 years ago. So anyone claiming to use the above methods to test for the presence of monatomics, even if it is the latest Mining XRF micro-burst x-ray devices, does not understand the basic properties of monatomics and Andara crystals. Read on to get the full history and science of monatomics and the tests that do work. As the person who discovered the relationship between monatomic materials and Andara crystals more than a decade ago, I have a deep understanding and relationship with both the science and related metaphysical properties they exhibit. In order to assess the validity of any test, one must first know what is being tested for. In ancient times, gold was a valuable known metal highly sought after, but easily counterfeited. There was but one way to test for the presence of gold – the so-called touchstone. Among the merchants and assayers of the Middle East, the touchstone was their most guarded secret. This was the one and only test that confirmed the presence of gold. With it, all doubt was removed as to its authenticity. It was this touchstone that created the bridge to a cash state, trade, coinage and the beginnings of civilization and nation states. Gold could be assayed, valued, traded with assurance and made a cornerstone of value and security. To this day, the touchstone is still in use by assayers and gold buyers. If you walk into a pawn shop to sell a gold necklace, a touchstone is used to assay its carat value. Is there a touchstone for monatomic materials and Andara crystals? To answer that question, we must first know what monatomic materials are. Once we have an understanding, we can then proceed to what tests will or will not work to confirm their presence. Like a Sherlock investigation, the evidence is right in front of us if only we look closely enough. It is with this eye for detail that we will use to discover that which will lead to our answer. Each detail provides the answer to a certain question; the trick being able to know what each question is. From there a profile is built by the details and questions they answer, until an overall framework comes into clarity. “What is it?” asked David Hudson when he found a mysterious white powder on his property in Arizona more than 25 years ago. It is a fitting question to start our investigation. As a farmer and part-time miner, David was more than just curious as to the meaning of this unknown substance. As a hobbyist gold miner, David employed the well-known emission spectroscopy (ES) test. Emission Spectroscopy is the science of analyzing the light frequencies of elements that have been ionized in an arc of electricity between two electrodes. In laymen’s terms, you zap your test sample and record the light given off. This is spectroscopic analysis. The arc electrode used burns away within 15 seconds, which most western Spectroscopists claim is all that is needed to read and identify the material tested. David’s test material showed a 2% mix of iron, silicon and aluminum. The other 98% was unknown. The 15 second Spectroscopic analysis of the sample failed to resolve this mystery. For three years David worked to resolve this. But even with the removal of the 2% that was identified, there still was no clue as to what the other 98% was. Not one to accept such nonsense, David remembered that the Emission Spectroscopy test done was based on American standards of 15 seconds, whereas the most prestigious scientific body in the Soviet Union, the Soviet Academy of Sciences, recommended an Emission Spectroscopy test that was 300 seconds, that’s 2000% longer. There was no Emission Spectroscopy lab in the US that could do a 300 second test, so he built one. Understand that David was a self-made millionaire, and spent millions of his own money in his quest for answers. David flew in an ES engineer from Germany, the actual inventor of the process to make this type of lab equipment, and discovered a new type of matter – monatomic elements. The process involved removing all oxygen from the ES testing arc and replacing it with Argon gas. In this environment the carbon electrode will last the full 300 seconds. At 15 seconds, iron, silicon and aluminum showed up as expected. Then the sample went quiet. Finally, after 90 seconds, Palladium began to read; after 110 seconds, Platinum began to read; at 130 seconds, Ruthenium; at about 140-150 seconds, Rhodium; at 190 seconds, Iridium; at 220 seconds, Osmium began to read. The Russians call this fractional vaporization. This was not news to the Russian professors that David was working with, as they had perfected this test quite a while ago. David Hudson’s discovery and the path he took to it gives us quite a few answers to our question of a touchstone test for Monatomics. Our first touchstone is the 300 second Spectroscopic analysis or Emission Spectroscopy test as recommended by the Soviet Academy of Sciences. The lab that David built cost more than $100,000 at current prices. So yes, it is a touchstone, but its expense makes it impractical. But with the discovery of monatomics, came the discovery that they were superconductors at the molecular level, with an ancient history of use as old as man. Thus begins our next chapter. To read Chapter 2 “Click Here“.